Since launching about a year ago, Bird, a popular scootershare company, has already clocked more than 10 million rides and expanded to more than 100 cities. Now, the company is expanding its offering with a new opportunity for entrepreneurs and business owners who want to develop their own fleet of sharable e-scooters. In late November, Bird Rides launched the Bird Platform. The new Bird Platform enables entrepreneurs to make money managing their own fleet of shared e-scooters using Bird’s resources. This program offers a great opportunity for business-savvy individuals who want to make a little money on the side or established business owners who want to expand their services. 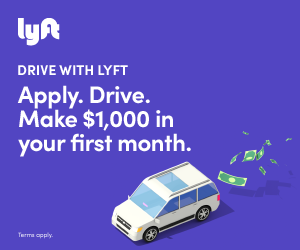 If this sounds like the kind of opportunity you want to take advantage of, you’ll want to understand how the platform works and how you can get started with your own fleet. Below is a quick guide that covers all you need to know about the new Bird Platform. The basic logistics of the platform are simple. Bird provides you with scooters at cost and access to the company’s marketplace of chargers and mechanics. As an independent operator, you run your own fleet complete with your own branding. You can also decide whether to utilize Bird chargers and mechanics or use your own resources. As an independent operator, you can purchase the e-scooters directly from Bird at cost. These will be their Bird Zero model scooters, which have 60 percent more battery life, better durability, and increased ride stability when compared to the earlier model. Bird Zero scooter manufactured by Okai. There are no minimum or maximum number of scooters you need to purchase as part of your fleet. However, keep in mind any local regulations that dictate the number of scooters allowed on the streets. For example, in San Francisco, the city’s Municipal Transportation Agency has put a cap on the number of scooters permitted on the roads. And they have actually denied Bird a permit to operate within the city limits at all. Once you have purchased your fleet of e-scooters, you’ll get everything you need to manage the machines through the Bird Platform. In addition to the freedom to brand your scooter fleet however you please, Bird will also help you run your scooters from your very own customized app. The scooters are delivered to you “map-ready,” meaning that they are already equipped with the latest in GPS, anti-theft technology, and GovTech. All independent operators will have access to Bird’s Open Map API. This allows them to display their scooters on the Bird map where riders will be able to see available scooters to reserve. Since Bird is already a popular scooter rental app for consumers, allowing independent operators to display their scooters on the Bird app will help drive additional business for these entrepreneurs and business owners. The Bird Platform will also make it easy for independent operators to market their business through a customized website. You can add your own branding and information to the site and begin to use this as a marketing tool for your scooter fleet. And you can manage it all from one easy to use platform through Bird. When you become an independent operator with Bird, you also have access to an extensive marketplace of chargers and mechanics for your e-scooter fleet. Having access to the Bird charger and mechanic apps enables you to easily get all the tools and resources you need to streamline your business and more efficiently manage and maintain your fleet of e-scooters. Independent operators will be able to set their own pay rate for chargers to maintain their scooters. This means you have more control over your bottom line. Not to mention, you also have the ability to charge the scooters yourself as a way to save money. In fact, those who currently work as chargers for Bird may be the ideal candidates to become independent operators as they will be able to maximize their earnings doing the same task. In addition to initial start-up costs of purchasing the Bird-designed e-scooters, Bird will also charge a service fee for each ride. This service fee covers all of the benefits Bird provides its independent operators, including the ability to buy reliable scooters at cost; use of the Bird Platform, which makes e-scooter fleet management easy; access to the network of chargers and mechanics; and listing on Bird’s Open Map API. This service fee will amount to 20 percent of the ride cost. Other costs involved include the cost of maintenance. Again, you have the ability to charge the scooters yourself or pay chargers on Bird’s charger network. The best option for you will depend on your own individual needs and circumstances. You’ll also need to consider mechanic fees. Though you have access to the network of Bird mechanics through their app, you may also outsource this work or complete it yourself, depending on your own needs and preferences. Bird has just launched the Bird Platform and is beginning the rollout in select cities this month. According to Bird, more than 300 entrepreneurs and business owners have already started to show interest in this opportunity. As it’s currently only available in a few markets, they are currently asking those who want to become independent operators to sign up to join the Bird Platform waitlist.